70's, 70's, 70's, we can't get away from the trend. So, we may as well embrace it. 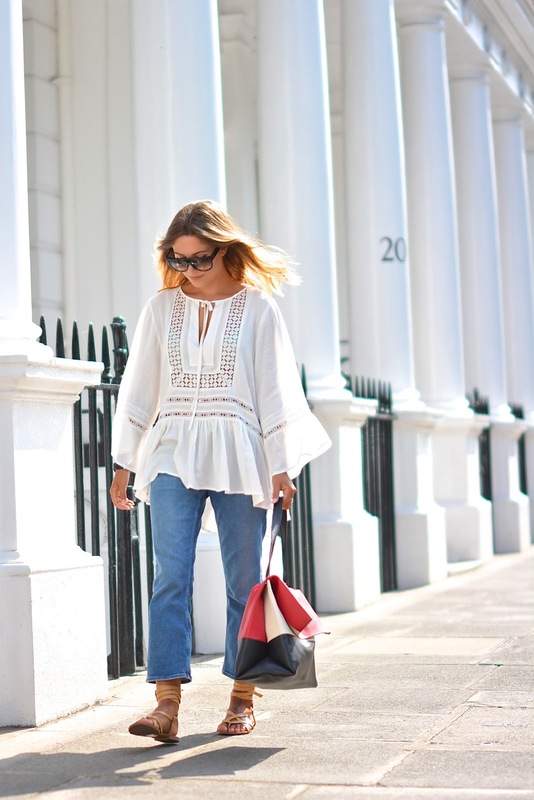 If you're worried about dipping your toe into the trend then fear not because there are other ways to incorporate the trend if denim flares aren't your thing. I'm only 5"3 and as much as I do love a flared pair of jeans I'm constantly battling sore feet due to having to wear heels with every pair. Welcome the cropped flare! The perfect solution for us shorties and they look great paired with a tie up sandal. 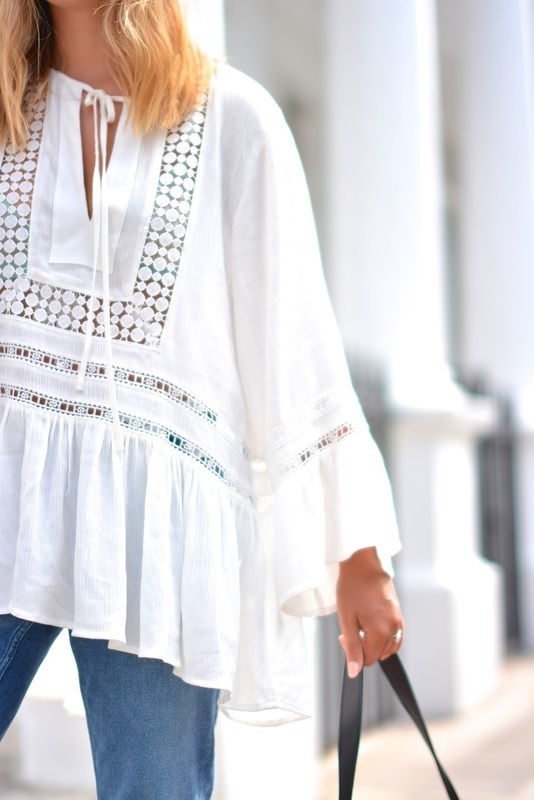 Another way to incorporate the trend is with a folk tunic. (Think of it as an updated spin on a white blouse!) Pop the tunic with a pair of cropped cigarette trousers and pointed pumps for work (these are a bargain for £12!) Or pair with a suede mini for a weekend vibe. This outfit I wore to the Swimwear 365 event to celebrate National Bikini day. Situated on the Moet Terrace in St Pauls, It was the most idyllic venue to sip champagne, munch canapes and feast out eyes on the new collection whilst watching the London sunset. that top is so nice, you look incredible! Love this outfit! That's such a great way to wear gladiator sandals with jeans too, those ones look really nice. Love this outfit, I've just bought this top now I need this jeans!